A new-ish twosome from the Body Shop is the focus of todays post. Their Vitamin C collection is already a pretty popular range for the brand but adding two complimentary products to the line has really rounded it off. 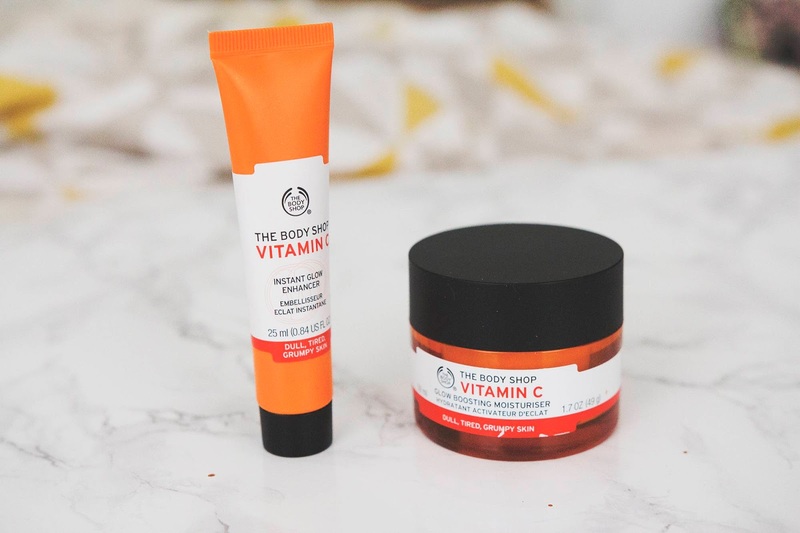 The Body Shop Vitamin C Glow Boosting Moisturiser and The Body Shop Vitamin C Instant Glow Enhancer. Designed for those of us who have tired, dull skin tones who need that dreamy lit from within look without going OTT on the highlighter. Fans of the Origins GinZing range would probably be fans of these two products. Think glow, moisture boosting, natural and youthful skin. 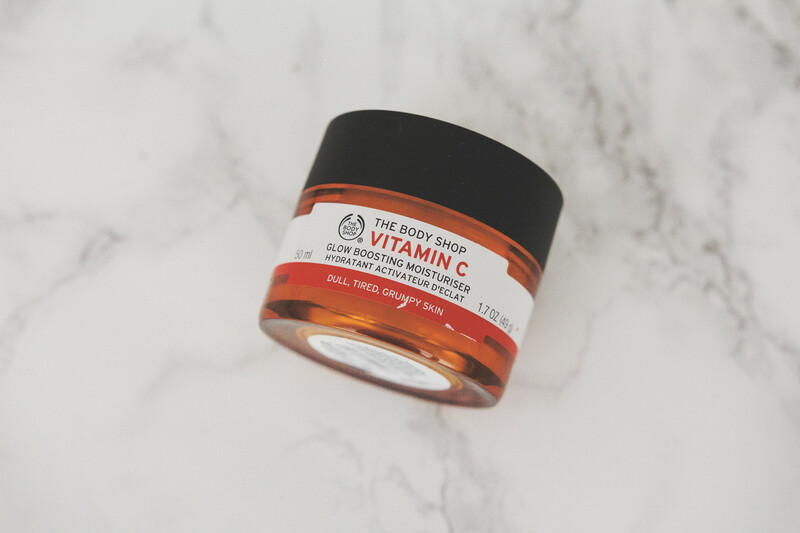 The Body Shop Vitamin C Glow Boosting Moisturiser is a gel like consistency which hydrates the skin, cools and gives a light glow to grumpy skin. It sinks in almost immediately and gives the skin a much needed shot of hydration to plump up the skin. Big fan of this stuff as my skin seems to love it! 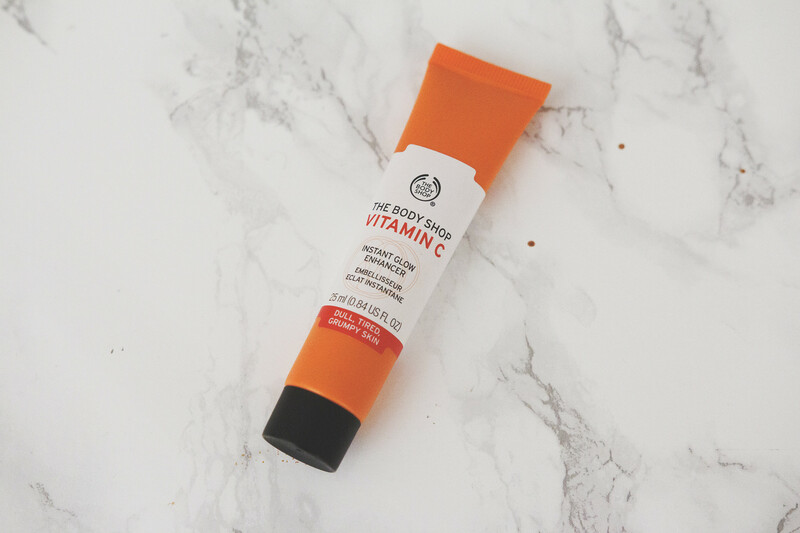 Then we have The Body Shop Vitamin C Instant Glow Enhancer which is a bright peach cream which moisturisers and corrects the skintone a little. It doesn’t add a huge amount of colour to the skin but it certainly does add something. It’s more like a primer than a skincare item but it does really give the skin a nice finish (soft matte) with a little bit of moisture boost. 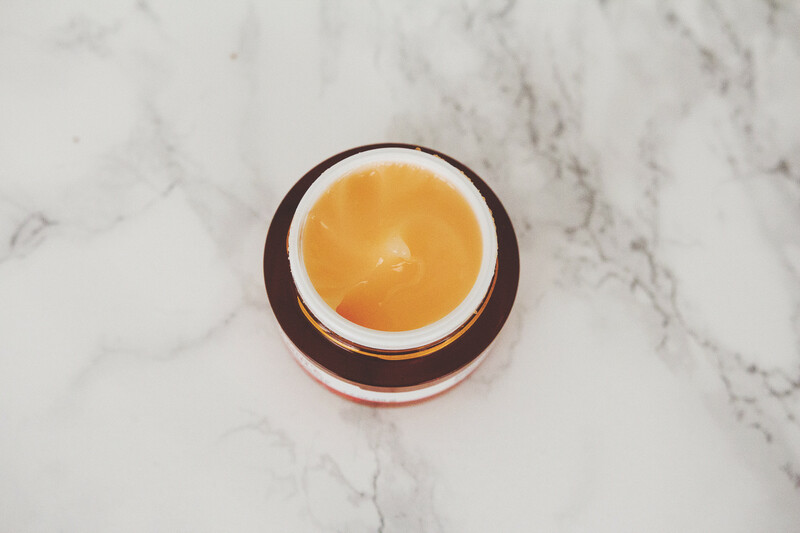 A smart little complexion booster which I can’t recommend enough. I've always been very intrigued by Body Shop skincare so I may have to give these a go once colder weather rolls around and my skin starts looking dull again. This collection sounds really fantastic, the glow enhancer in particular is exactly what my skin needs at the moment! I absolutely love the moisturiser - I found it work so well on my skin and its a great base for make up. these sound absolutely amazing, definitely need to check them out! The moisturiser sounds amazing, I can imagine popping it in the fridge for a few hors would really boost the vitality of your skin also! I’ve not really tried any skincare from the body shop before, but the Vitamin C Instant Glow Enhancer sounds interesting! This sounds incredible! And if it's anything like their vitamin E range, I'm going to LOVE it! I've been meaning to try this out for some time now. The moisturiser sounds amazing, I need it! These look so lovely, I could really see them helping my dull skin! I am thinking of adding this into my skin care routine once I have finished using my serum! I think this sounds amazing!!!!!! I already really love their Vitamin C range and I'm a big fan of moisturiser so I think I'm going to have to try this out asap! This is definitely similar to the Origins Ginzing scent, very refreshing! I've wanted to try these for a while, and hearing you say if you're a fan of the GinZing then these would be right up your street have definitely just tipped them into a 'MUST' try category. They're at a nice price point too, so what a bonus! These look lovely, definitely want to check them out. I would love to try this range.The instant glow enhancer sounds interesting. These days I am using cream by lifecell and the results are amazing.